The U.S. Food and Drug Administration (FDA) is proposing a lower concentration level standard for fluoride in bottled water, however, some scientists and environmental groups believe that the proposed limit is still too high and poses a danger to human health. According to CNN, if finalized, the new regulation would lower allowable levels of fluoride in domestically packaged and imported bottled water to 0.7 milligrams per liter. This is a slight reduction from the current standard of 0.8 milligrams per liter allowed by the FDA. 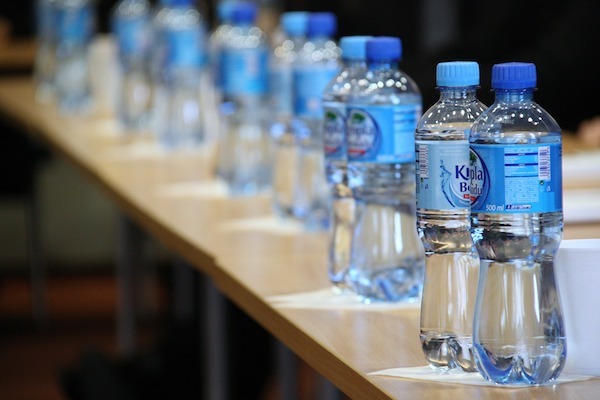 The proposed standard would apply only to bottled water with added fluoride. According to CNN, It would not affect allowable levels of fluoride in bottled water that may contain fluoride from source water. The FDA's proposed rule aligns with a 2015 recommendation from the U.S. Public Health Service that suggests 0.7 milligrams per liter is the optimal fluoride concentration for community water systems that add fluoride. According to CNN, the new rule "is based on findings from evolving research on optimal concentrations of fluoride that balances fluoride's benefits in preventing tooth decay with its risk of causing dental fluorosis, a condition most often characterized by white patches on teeth," the FDA said in a statement. However, some scientists’ concerns extend beyond fluorosis. "Given that fluoride can damage brain development, I would recommend that the maximum fluoride concentration in bottled water be kept at a lower level than 0.7 mg/L," said Dr. Philippe Grandjean, an adjunct professor of environmental health at the Harvard TH Chan School of Public Health, in an email. "Currently, there are rapidly increasing scientific studies showing neurotoxicity to fluoride," said Christopher Neurath, research director of the American Environmental Health Studies Project. According to CNN, Morteza Bashash, an assistant professor in the Dalla Lana School of Public Health at the University of Toronto, found higher fluoride levels as measured in urine samples of pregnant women are associated with both lower IQ and increased risk of ADHD among children in Mexico. Bashash found a drop in children's' scores on intelligence tests for every 0.5 milligram-per-liter increase in fluoride exposure beyond 0.8 milligrams per liter detected in a pregnant mother's urine. It is not clear whether this is research applicable to the U.S. population, he told CNN.